I am so happy to have found Dr. Wolf and Dr. Vanessa! I had a neck issue that was very painful so someone recommended this Drs office to me. I was scared since I’ve never been to a chiropractor office. Dr wolf listened to my questions, concerns and made me feel so much better! Just the first day my neck stopped hurting. My TMJ went away which I’ve had for over 15 years! I also have knee issues they are helping me with and they are getting better! This is the place to go if you want great healing! I have been a patient of The New Health Chiropractic Center for a couple of months. I met Dr. Vanessa through our BNI chapter in March 2016. However, I only decided to start my own treatment after hearing rave reviews from several other members of the group. I could not be happier with the results and I can safely say that I am on the road to recovery. My particular condition was neck and back pain that caused severe headaches. This condition affected my travel, driving, and even my work was occasionally interrupted. When these bouts of pain became too severe, I had to use medication to function. After 6 weeks of my consistent treatment plan, I am happy to report that my headaches are rare and much less severe. I also sleep better and I feel more relaxed in general. Additionally, Dr. Vanessa has come up with a comprehensive plan to help me monitor my stress level and reduce overall inflammation and pain. I highly recommend Drs. Tommy and Vanessa because they truly care about each of their patients and they continue to educate themselves on new techniques to benefit us. Dr. Tommy and Dr. Vanessa have done a great job getting me realigned and keeping me that way. They have a top notch practice. The Dr. Wolf pack helps me thrive! I don’t know what I would do if they weren’t setting me straight. Thank you Doctors Tommy and Vanessa! Dr. Tommy has changed my life! I was suffering from severe neck and shoulder pain from sleeping on a futon (of all things!). I tried a month of massage, various meds and ice, to no avail. I was miserable! My X-rays showed eight subluxations in my neck. No wonder I was in so much pain!! After four weeks of exercises and adjustments, I am almost 100% pain free. What a miracle he has been to my life! I cannot recommended him highly enough. I’d give ten stars if it were an option. Thank you for caring about healing people the natural way. You’re my hero! Dr Wolf and Vanessa r awesome! I went in for back pain and came out a new person, Pain free. I wasn’t aware my posture was so bad and so obvious until my friends and coworkers started complimenting my posture and asked me what I was doing. Because of what I do for work I have to go in for tune ups but I’m so greatful to them, thank you Docs for a great job and having fun while u do it! 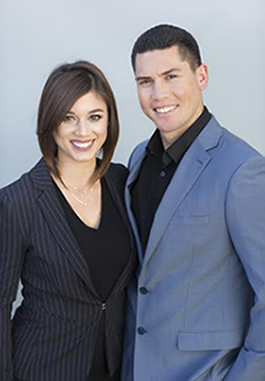 Dr. Tommy and Dr. Vanessa are professional, knowledgeable and thorough! I have only excellent experiences here! Yesterday was my first adjustment EVER and WOW. I am literally stunned at how great I felt after. I walked in with lower back pain and discomfort and walked out with almost none. I would definitely recommend giving this place a real shot! I see Dr. And Dr. Wolf weekly and my Thursday adjustments cannot get here soon enough! I always leave feeling lighter on my feet and they have helped me immensely since my shoulder pain began! If you are in need, go see them!! Thanks to Vanessa my lower back has been awesome! No more pain meds!!! Yea!